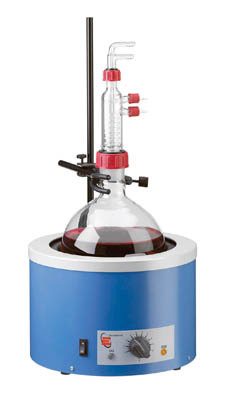 Accommodates round bottom flasks between 250 to 1000mL capacity. Electrothermal™ CMUT Series Multi-Volume Contiolled Mantle is used in wet chemistry to heat liquids in round bottom flasks. Metal case is designed to remain “Cool-to-the-touch” when in operation. 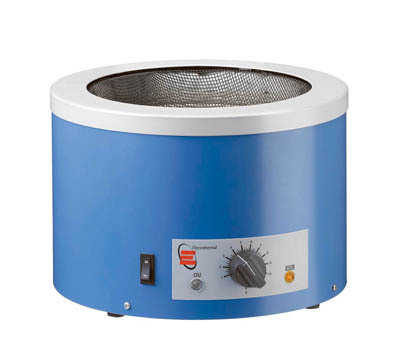 For added safety, it has a grounded stainless steel earth screen covering the element and is double fused.